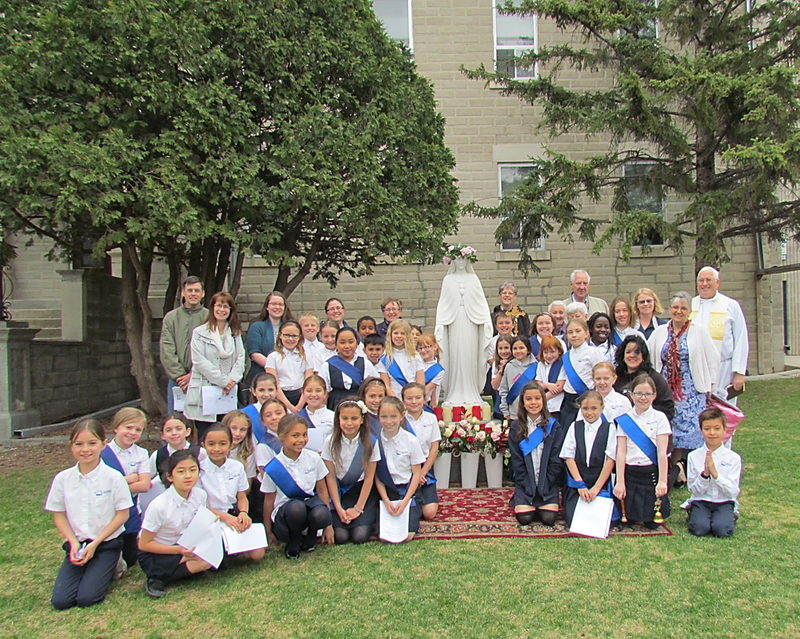 The Angelus Club, under the direction of Miriam Ragetli, prepared and hosted a Mary Crowning Ceremony on May 13th. The club members dressed in their sashes and followed Rosemund down the main stairwell onto the front yard as she performed Immaculate Mary on her violin for the procession. After the short prayer ceremony, Fr. Paul gave the blessing. It was awesome that several parents and parishioners attended the event and joined the students in this beautiful Catholic tradition. 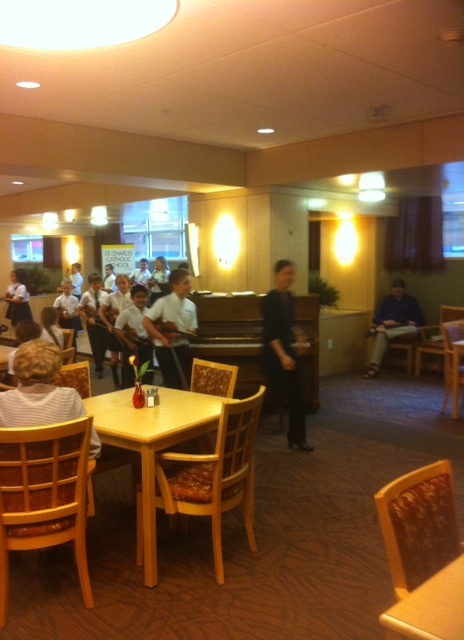 The Grade 4 class and the Violin Ambassadors teamed up to provide a violin performance for the residents at Residence Aulneau. This was the first performance by the Grade 4 class, and they charmed the audience with 5 folk tunes they had learned by memory since Christmas! Being the final concert of the year for the Violin Ambassadors, they pulled out all the stops and played for an hour without stopping. 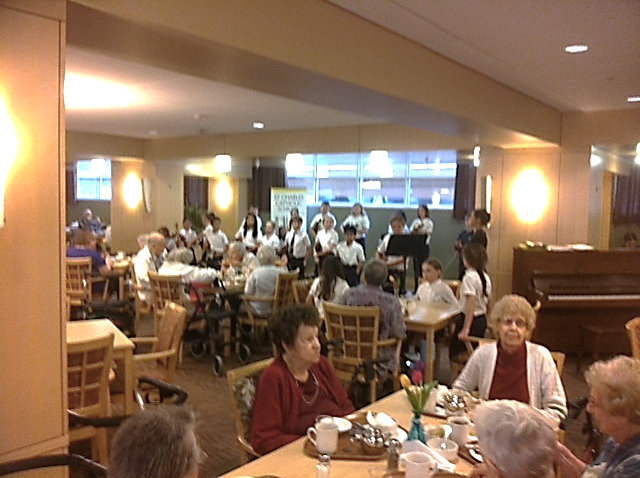 Many a resident sang along with the group as they played old favorites such as The Summons, Immaculate Mary, and Scarborough Fair. The students were excited to meet several of the Oblate sisters who were former staff members of SCCS! Congratulations, Ms. Sham, Ms. Prettie, Dr. Penny and all the students!